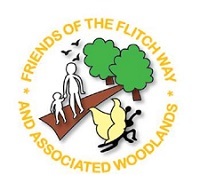 ​The Flitch Way is a Country Park around part of the disused railway line between Braintree and Bishops Stortford which is managed by Essex Country Parks. ​We are the volunteers who work to help to maintain and improve the environment for the benefit of the community, working closely with Essex Country Parks and the Rights of Way teams we also help conserve other woods, paths and country parks in north Essex. Annual General Meeting - Friday 3rd May at 7 pm. Our Annual General Meeting will be taking place on Friday 3rd May at 7 pm. Proceedings will begin with a talk by Dougal Urquhart on the Red Squirrels of Mersea Island followed by the Annual General Meeting. Address : Discovery Centre, Great Notley Country Park, Great Notley, CM77 7FS. The meeting is open to the public but only members can vote on resolutions. Please email us at info@flitchwayfriends.org.uk if you plan on coming so we can make sure we have enough refreshments available. The byway which connects the Flitch Way at Little Dunmow to Great Dunmow has been temporarily closed for 6 months for drainage and surface improvements. ECC are hopefully that work will be complete by mid November but this depends on the weather. Please be aware that the diversion route is via the B1256 which has a 60 mph speed limit. with orange tips. Females have black wing tips and mottled green underwings. as well as woodland glades, meadows and hedgerows. Discover more on our Wildlife page. Why not explore some of the places we work...? More information is available on our Explore page or click one of the links below to the most popular places. A great place for all the family. Enjoy tea and cake from the Booking Hall cafe and then visit the carriage to see the model train set and learn about the history of the old railway in the carriage museum. Open 11 am until 3 pm weekends and some school holidays subject to volunteer steward availability. Stretching for nearly 15 miles between Braintree and Bishops Stortford, the Flitch Way provides a safe traffic free environment for walkers, cyclists and horse riders. The Flitch Way forms part of National Cycle Network Route 16. Car parking at Braintree train station and Great Notley Country Park. ​This is a beautiful walk along a disused railway line between Witham and Maldon in Essex, most parts of which are also accessible to cyclists and horse riders. There are many miles of footpaths, bridleways and byways in Essex. The group is on call to go out and clear these Public Rights of Way. This can include building new bridges, gates and steps. So next time you are out on footpaths, around Essex, have a look and see if you can find one of the Friends discs on items we have installed. Professionally waterproof the roof of the Carriage Museum. This will be completed with the help of £3,500 grant from the Essex Community Foundation (ECF). The grant was awarded from the Yellow Car Charitable Fund (£2,500), the Essex Life Charitable Fund (£722) and the Acorn Fund (£278) which are administered by ECF. Replace and extend the Dunmow boardwalk on the Flitch Way near Oak Spring at Great Dunmow. Status - Funding required. Provide a bridge over the river Blackwater in Witham on the Blackwater Rail Trail. Status - Funding required. Motorised vehicles are not permitted except along the Grange Lane Track which connects the Flitch Way at Little Dunmow to Chelmsford Road, Great Dunmow and Buttleys Lane near Great Dunmow. If you see a vehicle using the Flitch Way, please report it to the police on 101/999 and let the Park Rangers know of the incident number. All dogs should be under control. If you have an incident with a dog, please report it to the relevant dog warden and police with a detailed description and let the Park Rangers know the incident number. Country Park Rangers 03330 132 900 or message the Rangers on their Facebook page. Braintree Dog Warden 01376 552 525. Uttlesford Dog Warden 01799 510 510. Uttlesford Environmental Health 01799 510 510. Essex County Wide Traveller Unit 0345 603 7624.